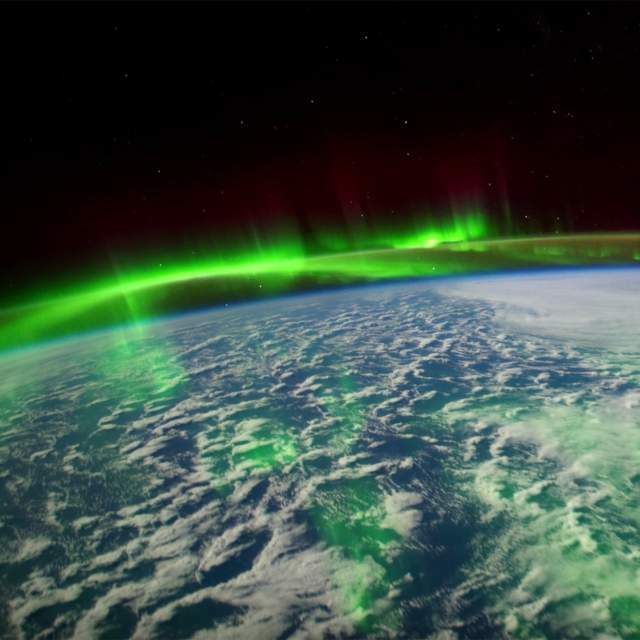 Aurora borealis from the International Space Station. In Norway, we consider ourselves lucky to have the beautiful northern lights dancing across the sky during winter. But instead of always looking up, we can turn to NASA to see this natural wonder from a different perspective, thanks to a film with incredible images. Experiencing the magical northern lights is at the top of many travellers’ bucket list, and for quite a number it remains a dream. And for those who have the opportunity, even less ever get the chance to see the northern lights when looking down – as in from space. Luckily NASA offers some incredible images in the video below, which is perhaps the closest you will ever get to see the phenomenon from above. The film is composed of several time-lapse recordings from the International Space Station (ISS) and offers 4K images of both the aurora borealis (northern lights) and the aurora australis (southern lights near the South Pole). So turn off the lights, play the film in full-screen mode, and enjoy five minutes of beauty. It won’t be long before space tourism will actually happen. Still, it doesn’t seem likely that most of us can expect to get a view like this any time soon. Here in Norway, however, we are spoiled with many opportunities to see the northern lights with our feet safely on the ground. Northern Norway above the Arctic Circle is amongst the best places in the world to experience the magic of the northern lights. Read more and find your northern lights destination. In the northern part of the country, aurora borealis has always played an important role in culture and mythology. But what has been considered a divine miracle for centuries, now has a clear scientific explanation. As NASA points out, the phenomenon occurs when electrically charged electrons and protons in the Earth’s magnetic field collide with neutral atoms in the upper atmosphere. Even though there is a scientific explanation, we are still awestruck when we see the colourful northern lights. The fact that we are seeing the Earth’s magnetic field in action, facing the forces of the sun, makes it all the more fascinating. Science and sheer beauty can go hand in hand; a fact all NASA enthusiasts and space aficionados are well aware of. A northern lights forecast that helps you find the best time to see the lights. When you’re going out to see the northern lights without a guide, follow these simple rules to make sure you get an enjoyable experience. 1. Always wear a reflective vest or reflective bands when walking by all types of streets and roads. 2. Never park at bus stops; it may cause dangerous situations. 3. When going on foot, be sure to stay off the road itself, as locals can drive quite fast. Around corners, they will not expect to find people on or by the road. 4. Roadside parking is prohibited on roads with speed limits of 50 miles or more. 5. Be aware that snow clearing is operating at all hours. Avoid getting your car locked in by snow masses. Learn more about this natural wonder and where in Norway you can experience it.